186 Old Montgomery Hwy #D, Homewood, AL.| MLS# 832156 | Richard Jacks UABLIVING.com 205-910-2297 | Birmingham AL Real Estate | Contact us to request more information about our Homes for Sale in the Birmingham AL area. RENOVATED and MOVE IN READY in a GREAT location! This condo will cater to any Brookwood/Samford/UAB/Cumberland Law student or employee not looking to give money away on rent. 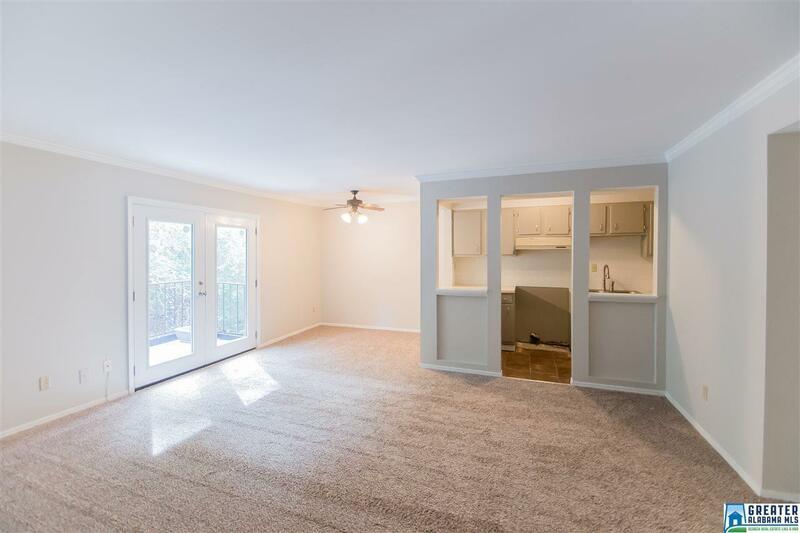 It is convenient to Homewood, Vestavia, Mountain Brook and Downtown. One large bedroom with full bath and lots of room to spread out. Your condo is on the 2nd floor so there is no one above you and has a nice balcony off the back. It also offers a large Great room and dining area. Washer and dryer remain. Community pool that you don&apos;t have to maintain just enjoy! Very close to great restaurants and shopping. Fees include water, sewer, pest, building insurance, common area maintenance, pool and garbage. Don&apos;t miss this great opportunity!! Driving Directions: Hwy 31 S. Just Pass Brookwood Hospital Exit, Take The Next Right Onto Old Montgomery Hwy. Turn Left Into Foxcroft, 186 Is The First Building To The Left And Unit D Is Upstairs On The Right.